What do Radiant and Brighter do? 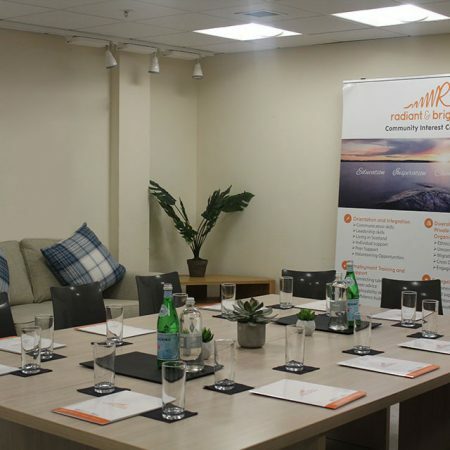 Radiant and Brighter provide orientation and integration classes, training, employment, business start-up and diversity training to organisations and individuals. We also run a women’s group, child talent group and host community events throughout the year, providing support to the community with specific emphasis to asylum seekers, refugees and migrants in Scotland. Activities and most events are free to the community so that we don’t exclude anyone due to their financial situation. Do you provide consultations to businesses? Yes, we provide consultations to organisations who want to diversify their workforce and we can provide support throughout the diversification process. Do you provide diversity training to organisations and individuals? Please send an email to info@radiantandbrighter.com or call us directly and we can arrange an appointment.